The Government is looking to China to renegotiate its free trade agreement with New Zealand after China signed a more generous agreement with Australia. Australia signed its free trade agreement with China last week — an agreement China described as the most liberal it has signed with another country. Trade Minister Tim Groser said New Zealand was using the Australia free trade agreement to argue that it was time to improve the New Zealand version. "Ours was the first FTA they did with any developed country. Things have moved on and we are using the Australian FTA as part of the structure of an argument as to why we know need to upgrade China’s first FTA. That is underway." That process began during the visit of China’s President Xi Jinping last year and had carried at a ministerial and officials’ levels. "I am very hopeful that by the end of the year there is something to show for their efforts. 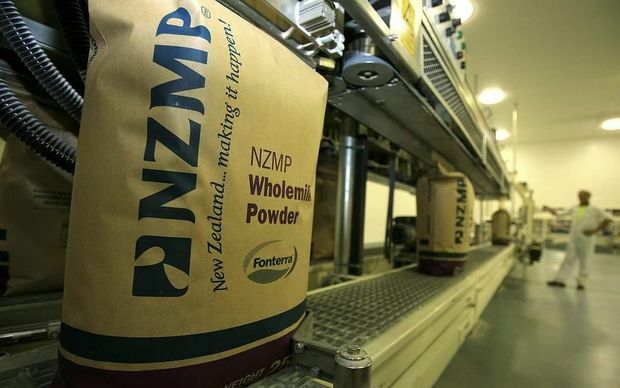 He said New Zealand had enjoyed the ’first mover’ advantages for a long time and Australia’s agreement would also benefit New Zealand, both generally and through companies such as Fonterra which held a significant share in Australia’s dairy market. Prime Minister John Key said the main aim was to try to remove the thresholds at which China can impose extra tariffs on products such as dairy. Under the New Zealand agreement, China can currently impose extra tariffs if the amount exported goes over a certain trigger point. Mr Key said New Zealand was exporting a lot more dairy products than anticipated when the agreement was signed in 2008. "So we currently pay the tariffs over and above the safeguard limits and I think we want to see if we can eliminate those safeguards quicker if we could." The agreements of both Australia and New Zealand are expected to result in the eventual removal of 96 per cent of tariffs. Mr Key also said he was hopeful the Senate will give approval for the US White House to fast track negotations on the Trans Pacific Partnership which could mean that deal was concluded by the end of the year. He said the agreement as it stood was "net positive for New Zealand" but fell short of what New Zealand wanted in the area of dairy although some other sectors would be happy with it. The Senate could vote on the fast track authority this week. It comes after Congress rejected the legislation last week only to approve it days later after some clauses were removed. Those amendments meant it had to return to Senate for a further vote. Mr Key described it as "a game of chess between the Senate and Congress" and it was not a certainty. "But if I was to take a punt, I personally think it will get through the Senate and I think we’ll have a chance to potentially conclude a deal before the summer recess breaks. My gut instinct is it’s very important to President Obama and he’ll do the best to get there."